Americans have traditionally valued full-time employment for both the steady paycheck and benefits such as health insurance and paid vacation, which were not typically offered to part-timers. But that’s changing. More companies are offering some benefits to part-time employees in an effort to attract quality people and reduce costly turnover. Looking for a second job to supplement your savings? 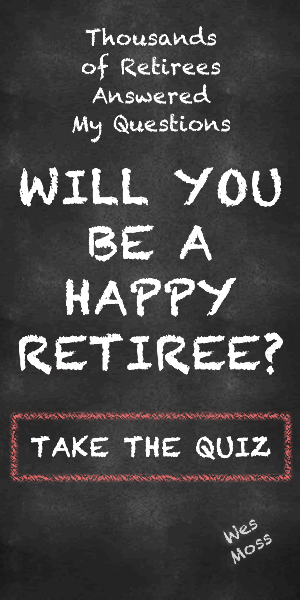 Retired and looking for a little extra income? Why not consider a job that pays more than just your hourly wage? Starbucks – The coffee chain offers perhaps the widest range of bennies to part-timers. Comprehensive healthcare, including dental and vision coverage, is the centerpiece of the Starbuck’s package. Part-time java-slingers are also eligible for paid vacation, a 401k plan, life insurance, adoption cost reimbursement, and free tuition at Arizona State’s online undergraduate program. They also get a free pound of coffee or tea each week. Employees are eligible after working 240 hours over three straight months. Workers must average 20 hours per week after that. U-Haul – The DIY moving company offers a limited health plan, a 401k, travel insurance, and a credit union. Costco – Hourly part-timers are eligible for extensive healthcare coverage after 600 hours or 180 days on the job. The plan covers medical, dental, vision and prescription drugs. Employees who work at least 10 hours a week also receive short-term disability coverage. Staples – After 90 days, employees can sign-up for dental, vision, short-term disability and life insurance. Part-timers who average 30 hours per week for a year can get the same health insurance as full-timers and participate in the 401k plan. UPS – The delivery service offers up to $25,000 in education assistance to part-time employees. REI – Know anything about camping, hiking or biking? The outdoor supply co-op offers health, life and disability insurance to anyone who works at least 20 hours per week. Premiums are on a sliding scale based on base pay. REI’s health plan includes preventive care, treatment of chronic conditions, even tobacco cessation. The co-op contributes 5% of eligible employees’ base pay to a retirement plan, along with up to 10% more via a profit sharing program. There’s also a 50% pre-tax transportation subsidy. Lowe’s – New part-timers can sign up for a preventive health care plan. It doesn’t cover hospital stays or treatment for illness, but does take care of routine visits and tests. Life, vision, dental and disability insurance is also available. The home improvement chain matches 401k contributions and offers an employee stock-purchase plan. The Container Store — The retailer is big on lifestyle bennies. Part-timers are eligible for paid time-off, discounted gym memberships, a confidential counseling program, and pet insurance. It also offers medical, dental and vision insurance, along with a 401k with employer matching. Common-law spouses are even included in some of these programs. Barnes & Noble – The bookstore offers part-time workers one week per year of paid vacation after six months on the job. That can increase to two weeks after a year of service. There is also a basic life insurance benefit. Avis Budget Group – This group of car rental companies allows part-timers to join its 401k after 1,000 hours of service. It also offers a confidential counseling service, and discounts on the purchase of used rental vehicles.